Mobile apps have been synonymous to the innovation that has penetrated every corner of the World. Considering United Emirates, it has been pioneering the arena of mobile app development where smartphone penetration has elevated with each passing years. The perforation, it has created enhanced the opportunities for the business with manifold benefits. With the ultimate motive to raise the bar of innovation, we had established Fluper in order to set forth transformation with some of the key ingredients that we possessed inclusive of technical enthusiasts, clear concept of innovation, advanced infrastructure and oceanic efforts. Started our cruise as a Startup and now to an establish venture, is upshot of our day and night efforts that has streamlined the entire Journey and somehow inspired to share our success story. 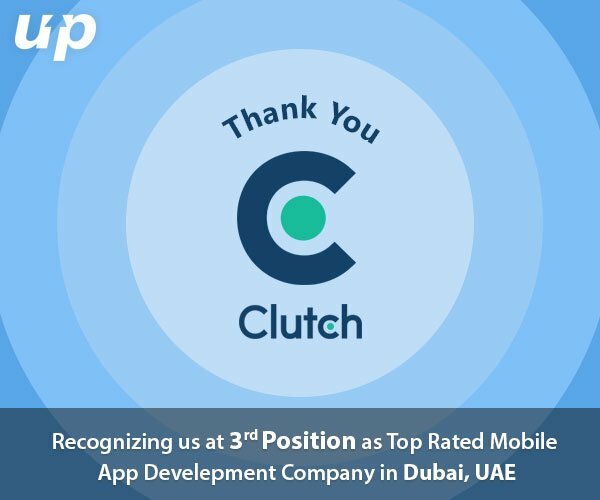 Our attitude to fulfil the commitment to our potential clients and flexibility to adapt something new, strived us to get recognition as 3rd best mobile app development Company in Dubai, UAE by Clutch has certainly filled our young team-mates with enthusiasm. 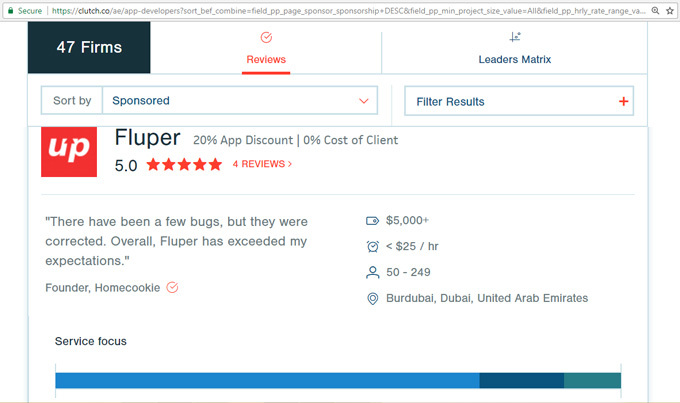 Receiving this recognition from an established platform has geared up our developers to go extra miles to thrive the perfection and never ending fidelity.